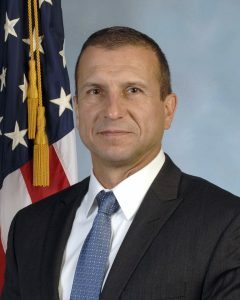 Raymond P. Duda, a 27-year veteran of the FBI, has been named as the new special agent in charge of the bureau’s Seattle Field Office. At the end of November, Duda will take over the Seattle office, which has nine satellite offices. Duda most recently served in the FBI’s Cyber Division and as a senior liaison to the National Security Agency and U.S. Cyber Command. Duda is replacing Special Agent Jay S. Tabb Jr., who recently left to serve as the executive assistant director of the FBI’s National Security Branch in Washington D.C.
Posted: 11/6/18 at 9:18 AM under News Story.